Coach Dan Washburn joins in on the conversations this morning in Studio D; starting off the morning with the weather forecast; Mayor Gary Fuller calls in on the Hamilton's Hotline to talk about the 2nd Avenue Bridge being named in memory of Sharron Robinson Fuller, who passed in a motor vehicle accident in 2018. Coach Dan Norton (Auburn High's new athletic director of Auburn City Schools) calls into the Hamilton's Hotline to talk about his new position, his 26 years in coaching, ... See More past athletic directors and the "shoes to be filled", his thoughts on the importance of sports ("every kid has their place in athletics"), and his path through Track. D Mark and Jeff give us an update and stats on the regionals in AHSAA Bowling, Robert on the Hamilton's Hotline to join in on the topic. Hour number two starts off with a weather forecast for the week from D Mark; Pinson Valley Quarterback Bo Nix, named "Mr. Football" and other area awards; Wayne Newton is coming to Montgomery. "First Responders Appreciation Month" at the Opelika SportsPlex - free for all first responders for the month of January; talking about Basketball, the Davenport story is brought up, a hearing is scheduled for next Tuesday. Fee Increase Plan from Verizon on popular education app (Remind), teachers are enraged; rules, regulations, eligibility, and media outlets. 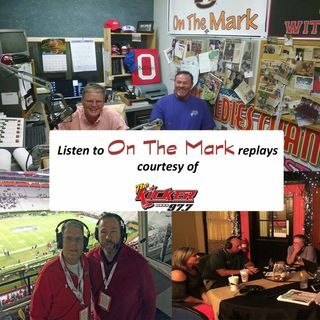 D Mark and Jeff call Van Riggs, congratulating him on being named "Best Radio Personality" by the Opelika-Auburn News , 2018 Readers' Choice Awards.